At Fire Guard of Mississippi we are proud of our excellent history of reliable and timely service work in the fire protection industry. We are a modern company that takes pride in our old-fashioned values. We realize that there is no substitute for repeat and referral business. That is why providing quality work and complete satisfaction to our customers is always our number-one priority. No job is too large or too small, our on-going industry training and continuing education allows us to keep abreast of new fire safety methods and techniques, as well as utilize the latest innovations in technology being used throughout the fire protection industry. 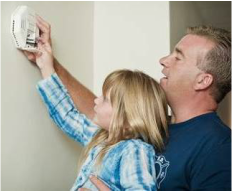 Our professional and highly skilled service team will assess all your fire protection needs. Then, take the time to clearly explain and discuss all your service options with you. Whether you are starting a new business or just need an inspection, we want to be the fire service company you call first. 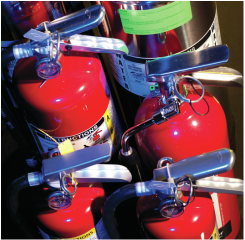 We don’t just service fire extinguishers, we check for the trouble spots you may not be aware of. Our service technicians are professional, knowledgeable and well trained. With our 24-hour emergency service we are always on call and will there when you need us. 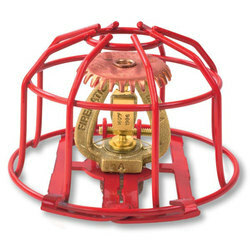 Fire Industry Links – Helpful links to fire industry Authorities, Associations, & Manufacturers. Fire Education Articles - Helpful fire education and information articles. Fire Extinguisher Training - View the course, test your knowledge, then print your certificate of completion.